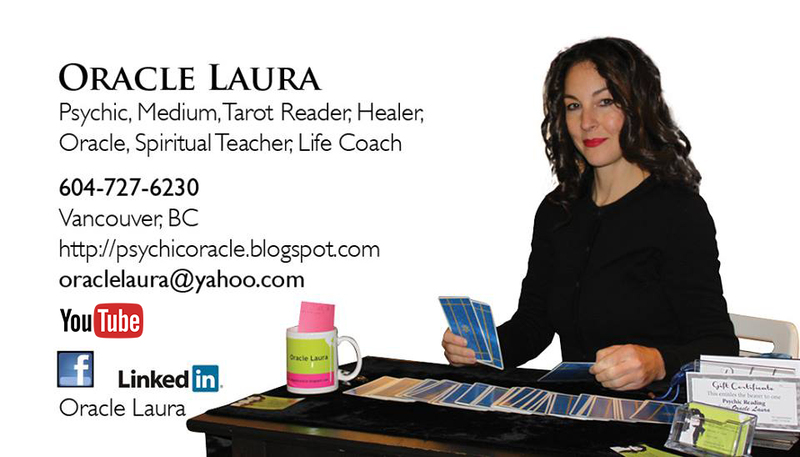 I have been a Psychic and Medium since birth & have been developing & using my abilities my entire life. I inherited this gift from my mother's side of my family, although my father believes I inherited my psychic gift from his side as well. To top it all off when I was born I almost died and so struggled for two weeks to survive. I assume that is how I also became a Medium. Perhaps that portal door to the other dimension remained open when I survived my NDE (which enables me to travel to the afterlife and thru time to visit both the future and the past). Having a family who knew of my psychic abilities did not mean I had it any easier than other young Psychics. Other than my parents explaining to me what my gift was called and who I got it from, and my father using my dowsing abilities to find underground water for wells, we never discussed it any further than that. My mother is very religious but not so spiritual, and my father is more spiritual than religious but rarely talks about it. (In fact it annoyed them when as a child I won almost every card and board game we played together.) I was bullied somewhat at school since I was such a "sensitive" child, so I decided not to make it worse by telling the bullies about my special gifts. One of the most important things I have always know about being a Psychic and Medium is to use it only for good purposes and to help others. I help living people as well as spirits. During the day I am guided by my Guides to people who need my help, and also to find the people I have dreamed about recently who also need my help. To do this I must be very open to receiving and seeing messages which my Guides send me. Without trusting my Guides and having faith in their abilities as well as my own I would never be able to solve my dreams to the extent that I do. I follow these messages and clues the same way you would follow breadcrumbs on a trail until I find the person or place I seek. My Guides are very good at this. I assume they must be able to see the future. They always seem to know where I must go and when in order to meet that person so I can help them or solve my dream. Some dreams I am unable to prevent, such as earthquakes, plane crashes, floods, war, etc. This is something a Psychic or Medium must accept and never feel guilty about. Some things are fate and destiny and so are meant to happen. Sometimes we are only meant to know about an event for other reasons besides prevention. At night I now dream up to 10 dreams per night, most of which always come true within a day or two. Although on the rare occasion some of my dreams do not come true for a few months to one year. The person in my dream is usually deceased and they send me a dream about how they died so I can help them in some way. The dream is in their own interpretation so they will sometimes use symbols and representations which they feel I might understand and relate to more. So each dream is a new challenging mystery to solve. I also have dreams about the living. In each dream I usually know if the person is dead or still alive, and if the dream is past, present, or future. The more dreams I solve, the more word gets out and even more spirits come to me for help. I can sometimes enter the dream as myself, making it a lucid dream. This enables me to give them a message of comfort and guidance. But understandably only certain dreams can be lucid. I dream about famous people, local people, and people located in other countries far away. In a way I feel happy being able to travel for free. In my dreams I have been to countries I have never traveled to otherwise. This is one of the perks of my gift. I have also traveled back in time to other eras. That is a real treat. When I dream of famous people it is usually about their death so it is not usually a happy moment meeting them. It is sad knowing when someone famous is soon about to die long before other people know. Obviously those predictions are difficult to prevent since it is hard contacting someone famous (not to mention getting them to believe me!) There are so many times when I wish I could have done more to prevent a death or accident, but as I have already said, somethings cannot be prevented and are meant to happen for whatever reason. What is more frustrating is when I have a dream or prediction that I could have possibly prevented but in the end I could not stop it because no one wanted to believe my prediction and warnings. Sometimes people will not believe until you prove it, and then sadly it is too late. I am happy to have learned so much about how to use my abilities, how to develop and increase them, how to contact my Guides for help, and how to put this gift to good use helping others. I feel happy being able to pass on my knowledge to others, especially to young Psychics who might feel scared, judged, criticized, attacked, outcast, and confused. I was once a young Psychic myself who felt that way. I know how challenging it is being a gifted person with unusual powers. At times I feel like a Superhero, and other times like a freak of society. So it can be a blessing finding other people who share my abilities so we can find comfort in knowing that we are not alone. Psychics are very special people and we can do so much good with our gift.